proponents and patients of medicinal cannabis today. The exhibit opens March 29 and runs through August 23. 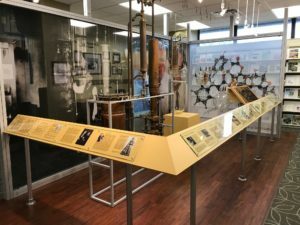 The George Rieveschl, Jr. History of Pharmaceutical Chemistry Exhibit features a patented Lloyd Cold Still (at right) built in Cincinnati and used at the University of Michigan and at AYSL Corp; significant components of the Soxhlet extractor used by Drs. Monroe Wall and Mansukh Wani to isolate the anti-cancer drug Taxol® at Research Triangle Institute in North Carolina; and culminates with a look at the anti-allergen drug, Benadryl® and its creator, local Cincinnati scientist and philanthropist, George Rieveschl, Jr. 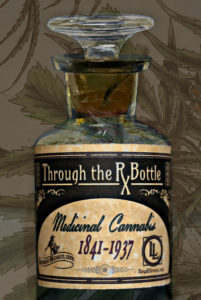 This exhibit made possible through the generous support of: The George Rieveschl, Jr. Book Fund; American Chemical Society-Cincinnati Chapter; American Society of Pharmacognosy Foundation; Elizabeth Wakeman Henderson Foundation; AYSL Corporation; Research Triangle Institute; LLM’s Friends and Donors; Anonymous; Camden Foundation; In Memory of the Grabowski Family; Brian Hanson; and Benet’s Pharmacy.